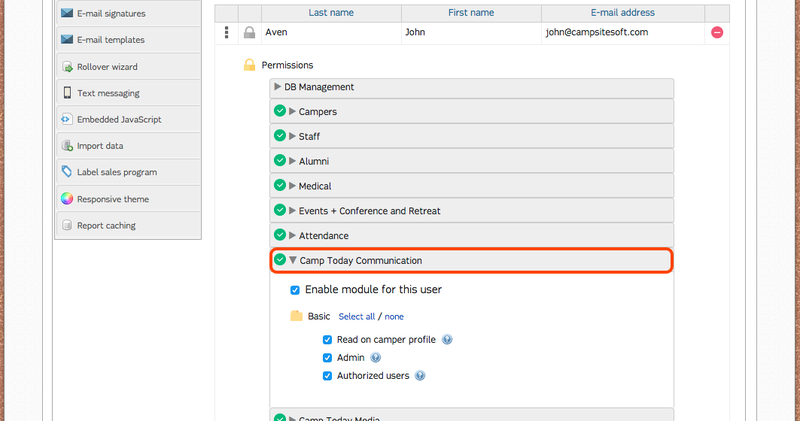 Read on camper profile: Permission to view Camp Today Communication on the camper profile. Admin: Permission to generate and print Camp Today Communication e-mail batches. Authorized users: Permission to view and manage Authorized users and Extended family members for Camp Today. 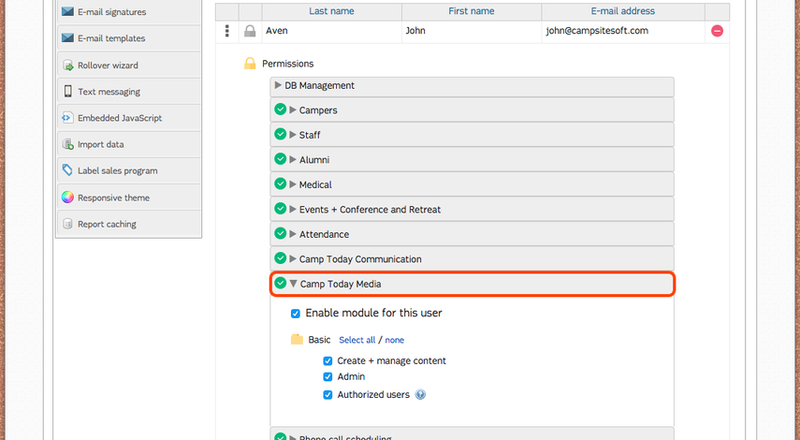 Create + manage content: Permission to create and manage Camp Today blogs/blog posts.